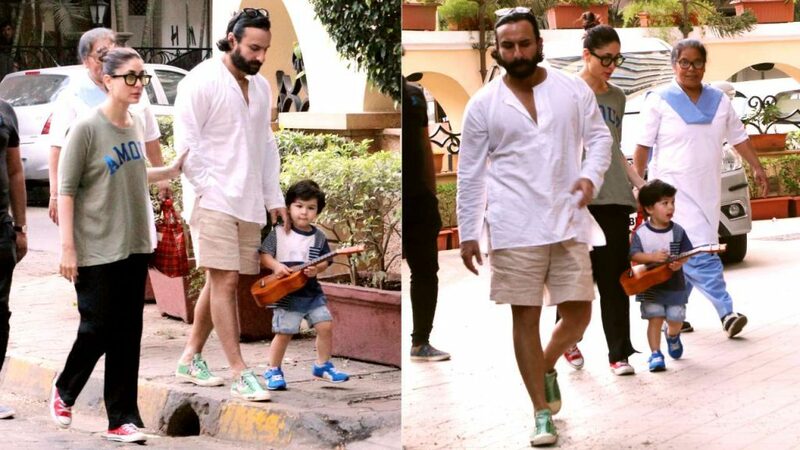 Saif Ali Khan and Kareena Kapoor Khan‘s son Taimur Ali Khan surely knows hows to keep the paparazzi busy with his cute antics. 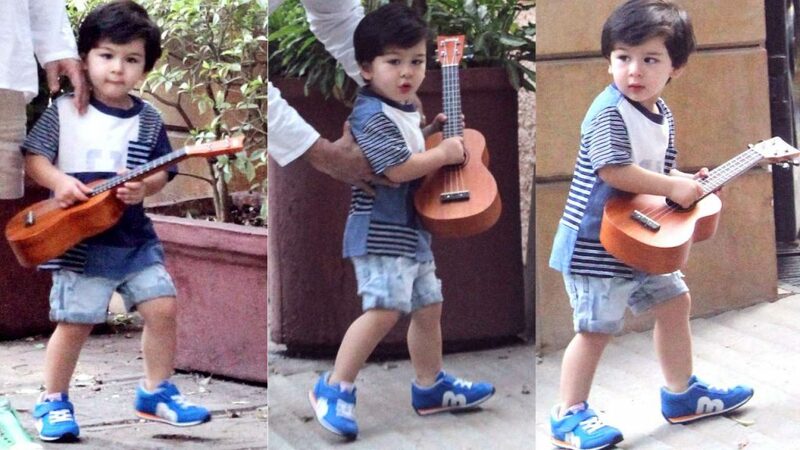 Chhote Nawaab was recently spotted with a ukulele in hand and the internet immediately fell in love. 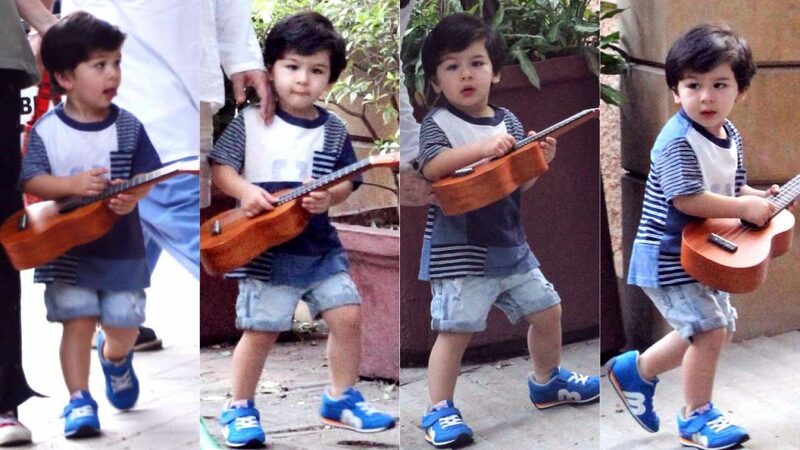 Taimur was taking a stroll with his parents when the photographers spotted the little instrument in his hand. 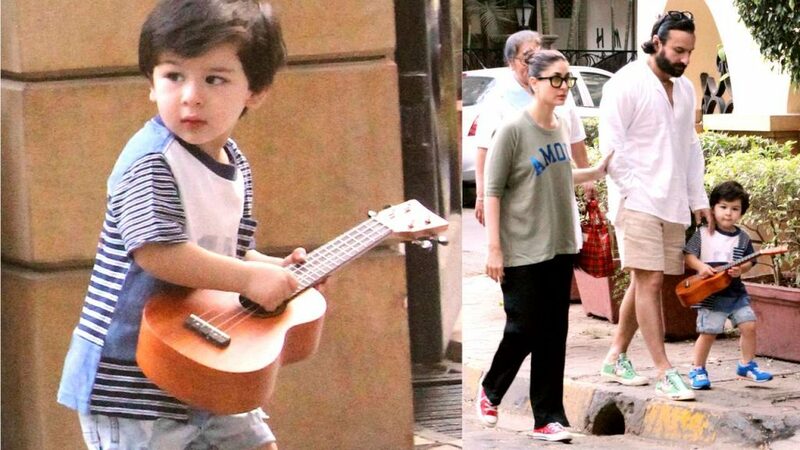 He looked cute, as usual, in a simple tee and denim shorts. 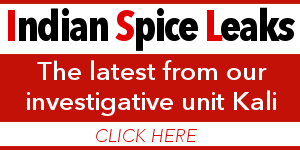 Saif was in shorts, too, while Bebo was seen sporting a dark olive green tee and black trousers.